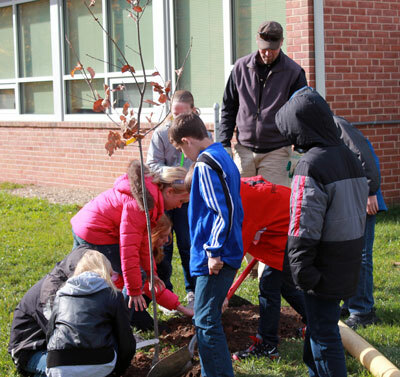 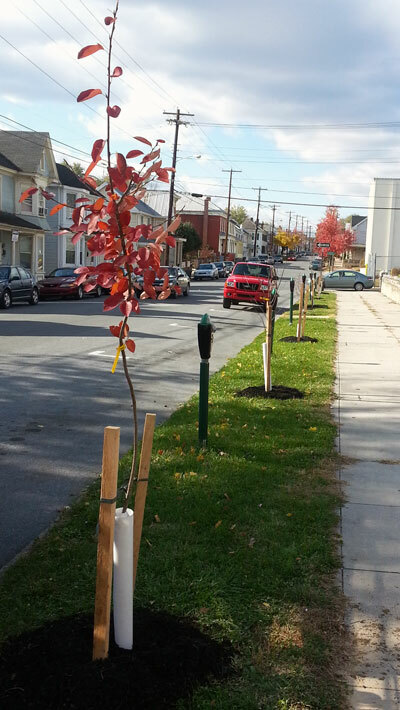 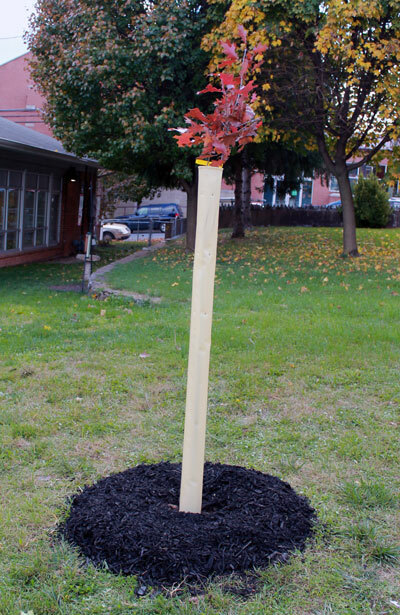 On November, 8th 2013 the St. Joseph’s Knights of Columbus worked with students and staff at St. Joseph’s School to plant 12 trees – a mix of shade and flowering trees – throughout the school property and along John Street in Martinsburg, WV. 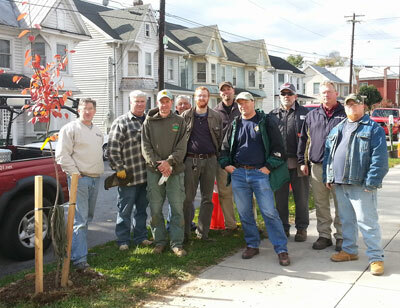 8 volunteers from the Knights of Columbus, as well as Shawn Walker with Trees 101, were in attendance at the tree planting to help teach, as well as the Director of Public Works, joined in to help plant the trees. 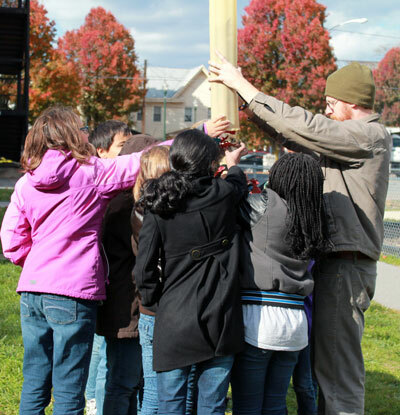 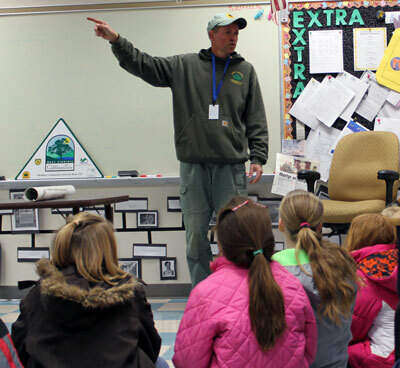 Before planting the trees with the students, Cacapon Institute staff, Herb Peddicord, and Shawn Walker taught the students in the classroom about the benefits of trees, the different parts of trees, and other projects that could reduce stormwater runoff pollution on campus.